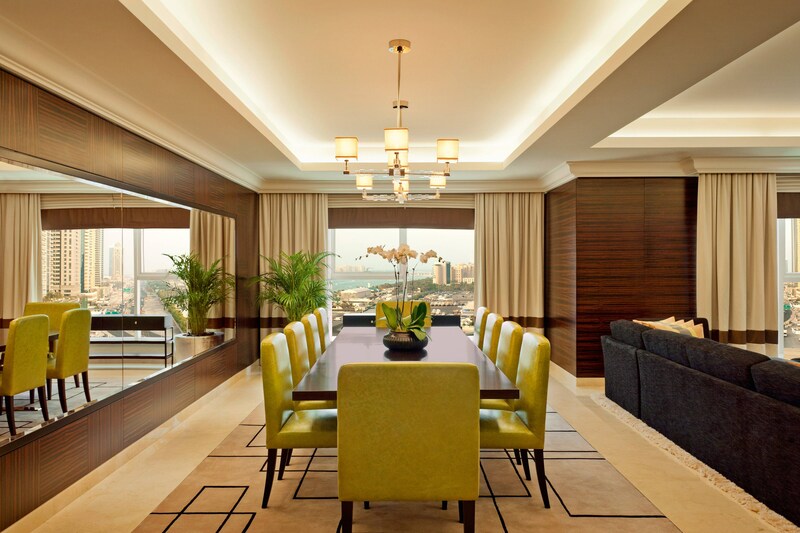 Designed to exceed even the most exacting standards, Grosvenor House unites gleaming marble floors and elegant crown molding with warm, neutral hues, creating an opulent, contemporary atmosphere in each of our accommodations. State-of-the-art technology—from 42-inch flat screen televisions with satellite channels to complimentary High Speed Internet Access, iPod docking stations, and direct-dial telephones—adds to the refined design, as do floor-to-ceiling windows with views over the sparkling Dubai Marina, turquoise Arabian Sea, or iconic Palm Jumeirah. Select accommodations even boast private balconies and all enjoy fresh flowers, fruit of the day, and a refreshment center with mini bar and tea and coffeemaker. The distinguished appointments also include a signature Luxury Collection king-size bed or two twin-size beds. Topped with 400-thread-count sheets, a down comforter, and plump pillows, they are framed by a supple headboard on one end and an inviting chaise lounge on the other, while in the serene bathrooms with deep bathtubs and separate showers, premier bath amenities from Byredo complement plush robes and slippers. 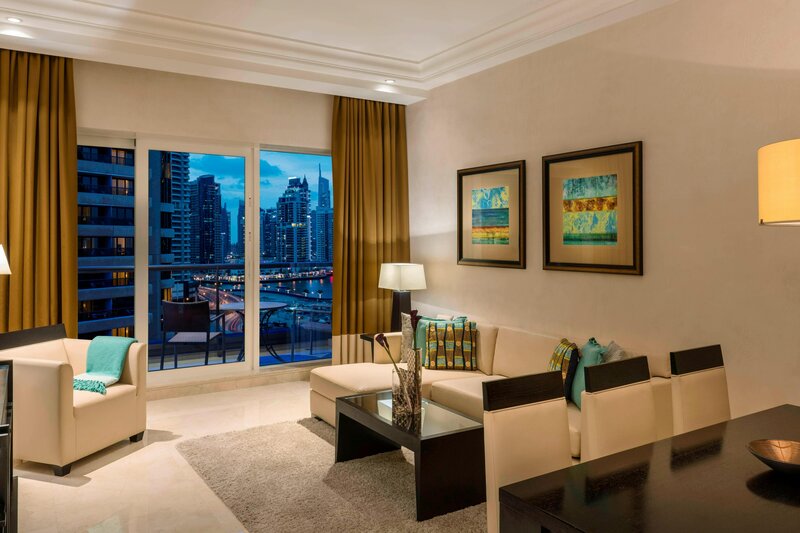 Grosvenor House offers six different types of suites with spectacular views and luxury amenities. Rooms, suites, and apartments with spectacular views. Our one-, two-, or three-bedroom Residence Apartments offer a new standard of daily living, with a variety of intuitive floor plans.